We here at TriStar have been hearing the stories about the continual harrasment by law enforcement worldwide regarding a hobby that many of our customers have....The right to practice Airliner Photography. In support of the right to photograph airliners in non-restricted and public areas, we are now, at cost, providing a T-Shirt you can wear expressing your opinion. 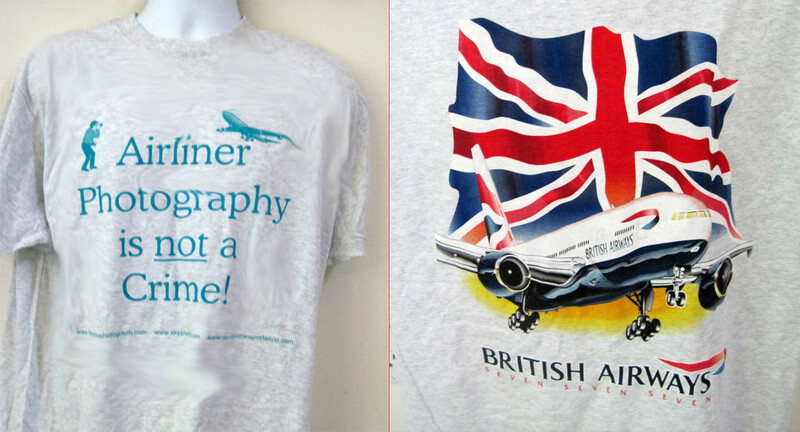 We have a few of the Ash Grey (Turquoise lettering on Ash) shirts with the British Airways 777 design on the back (same as our BA77 design), Size Large only.